I've wanted to write about this for a while, but kept procrastinating for one reason or another. Sometimes I'd ask myself who gave me the right or confidence to think that I had any advice to give. 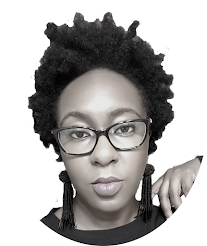 At other times, I figured that as a new-ish blogger, and not enough years, experience, blog views, I was certainly not an expert and definitely in no position to dole out blogging tips. Yes, I admit I have insecurities about my blog - in fact, I may share it in another post. But the bottom line was that, I didn't think I had anything to offer. However, that isn't true. The fact that I've gotten more than one email asking for advice, and others reaching out to me, means that the blog has impacted at least one person in a positive manner. And with that, I think it's good enough for me to share some tips. 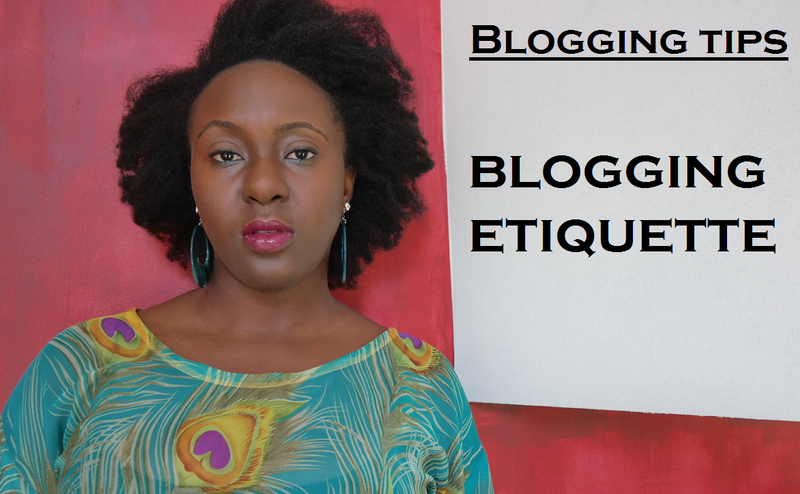 Without further ado, here are my tips on Blogging Etiquette. This is for bloggers. What I mean by this is that unless you have a private blog, chances are that you have an audience. From my experience, your readers are more prone to come back repeatedly if they feel a connection with you. The only way they can feel that connection is if you acknowledge them. It can be as simple as a greeting at the beginning of your post, or responding to reader comments (as I like to do), and even asking them to share their experiences with you in the comments. Before I go on, I have to say that I haven't done the best job with this particular point, but permit me to go on. I can confidently say that majority of your blog's commenters are bloggers themselves. More often than not, they will leave a link in their comments. I do try as much as possible to click on blog links that I've seen repeatedly in my comments. I may not actively follow all the blogs in return, but I do check them out once in a while. I even visit blog links from comments on OTHER blogs I visit. Of course, not every blog will appeal to you, but it doesn't hurt to visit every now and then. If any of their posts resonates with you, feel free to leave a comment. What I mean here is that if you're putting up a post based on something you directly saw on another blog, it's good manners to link back to that blog or website. It's a different thing if you're seeing the same post on multiple blogs - e.g. a What's In My Bag post. However if it's a specific or unique post that's inspired you, do well to post a link back. In fact, left to me, if you're going to mention another blogger in your post, it's nice to put up their link as well. This goes back to leaving comments on blog posts, as well other social media like Instagram or Facebook. Let's be honest, at least once in our blogging lives, we haven't really contributed a meaningful comment to a blog post, but only wrote a comment just so we could leave our blog link there. To be perfectly honest, it can be a little irritating if all you're seeing from someone is "Nice post. Follow me," across your different social media accounts. Again, I'm no expert on blogging, but these are just a few things I thought to share. Thanks Berry for all of these tips! Really needed! Thanks Berry, this helped a lot. Nice tips and they all really help, I agree that comment spam can be irritating... pple b like "wow nice post! follow me Facebook, Instagram, MySpace"
Thanks for your comment. I don't necessarily think that commenting with your blog link on another blog is wrong. For one thing, it's kinda like you're introducing yourself to that blog writer (KINDA being the operative word). Another thing I read up on, is that having your link on other websites can be a good thing, in the way of improving your ranking. But like I said, if you're expressly leaving comments just for a "follow back" I don't think it's right or fair. Thankfully nobody has put any free ads on my Instagram/Facebook posts, cos God knows I'll block them immediately. How did you get your readers? I guess we are allowed to disagree. I am climbing on my own just because that is how I roll, and if you want to jump on that ladder with me, without contributing meaningfully to my hard work, sorry, no space for you on the ladder o. How did I get to the point I am at, sheer hard work, sleepless nights, creating content that people want to read and I got readers by sheer referral. I also went to see out sites I could contribute articles to, or pieces to, which gave me a huge boost. To the point I am now actively being sought out by other sites to contribute content. Sites I was shocked to find they even knew who I was. See, I put in work to contribute positively to another site, and in return I got exposure. Some posts it took me days to compile, then someone will just leave a comment for 1 minute and add their blog address. Hian!!!! Thank goodness for wordpress, i can edit a comment before posting, so you will see the comment, just not your blog link. 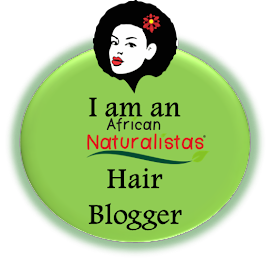 You want exposure through my blog, you are welcome to contribute a post, contribute a piece, but just leave a comment and go away. Nah, that one I don't agree with. That is not how the ladder of success works. Perching is not allowed. Berry, the very first day I visited your site was when I saw your piece written on Bella Naija, despite me seeing comments with your blog address previously. Case in Point. As for the follow back people, Oh bloddy gosh. This is not to brag, but sharing my own blogging style. I accept that others have theirs and as they say, whatever works for you. Thanks again for your contribution. Even though we disagree on a point, I have gleaned some knowledge from your approach (re: contributing guest posts, and featured articles on other websites - which I have done quite a few times on different websites). Yes o. IG and Twitter - KFB. Choi, it's going to take me a while to go through all the comments, but I agree with what you wrote. Thanks for your comment. Not sure who you were responding to though - I think Blogger made an error while posting your comment.